Last year my mother moved in with us for a few months. She’d done a great job helping my father manage on a daily basis with what turned out to be dementia. At the turn of the year though, his condition made him increasingly unstable. He was a potential threat to her and the way the disease attacked his brain made him completely unaware that anything was wrong. It would have been much easier if he would have relied on us and trusted us but his macho persona and the brain damage made him actually try to continually try to prove himself and talk about how well he was doing. It just turned to an increasingly dangerous situation that hit a wall. While she was living with my family across town, my brother and I kept tabs on him. We’d go over to his house and meet him for dinner. He liked having a “guys’ night” with us even before the meltdown which led to my mom moving out. It’s interesting to track the last year in terms of the meals out. He was a creature of habit for most of his life but he really focused more and more on a couple restaurants over time. Even though there’s a lot of options around where he lived he’d go for a couple over all others. It wasn’t just because he liked them, he couldn’t consider other options or recall other places. He even forgot their names. A place he’d been to for years became “that place we go to.. over there” instead of “J Christopher’s”. The food he’d get on his own became limited to going to the deli counter at the local grocery and getting the same sandwich every day. There was even an Italian market on his way which we’d been to for years and was right near where he had to drive. I’d meet him there, get him a meatball sandwich, and point out that he could come here where they knew him and what he wanted. He’d agree but would never think to go back on his own. The last restaurant name my father remembered. He also even lost the ability to choose between options on the menus. 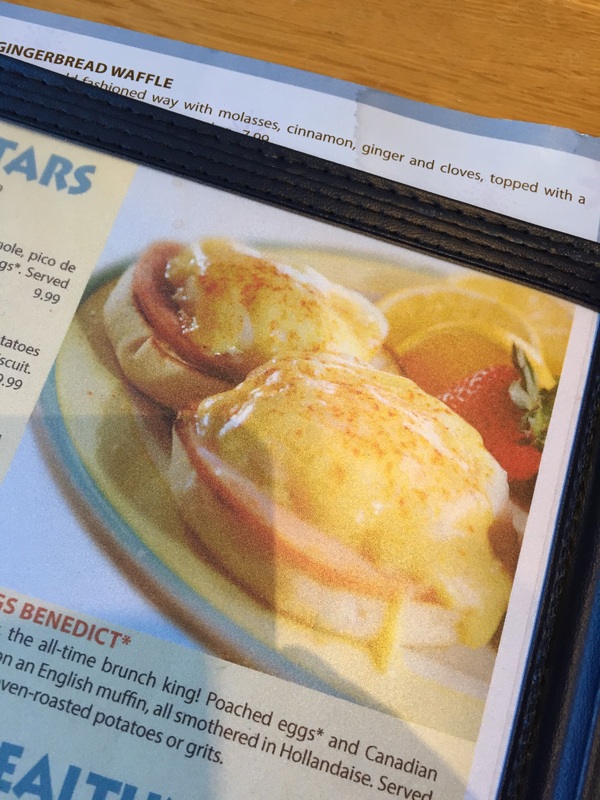 For breakfast it was eggs Benedict every time. For dinner, we’d always opt for one of two places which he knew well. And each time he’d try to order a steak sandwich which he’d have trouble chewing until I started steering him to something else. It was definitely troubling to see him reduced to a single-threaded approach to getting through a meal. Of course, this extended to everything. We’d have the same conversations about the same topics each time we went out. We could pick out four or five subjects which he’d bring up at least three times apiece. The only thing he’d order at what he came to call “that place”. This obviously wasn’t exciting for my brother and I but it let us get together and just be with him while we still could. There were no illusions that he’d go back to discussing current events like he used to or let us know of new plans he had, people he’d talked with, or even new shows he watched on TV. We could tell that he really enjoyed them as well. My dad knew that we cared and he could feel like he was getting us together for some fun. After we got my father situated in an assisted living home, it felt natural to want to do something like the guys’ night again since it was something he looked forward to so much. We couldn’t take him out to the old restaurants because we would have problems getting him back. What I tried to do was bring the night out to him for lunch. The first time I picked up the meatball sandwiches from the Italian market. He enjoyed lunch but had no idea where we had gotten them. That was telling in itself since he’d been going to eat there for 25 and they even jokingly put the name Vito on his order. Even the running joke had slipped away. The second time I tried was in the Fall, about ten months after my mom moved out and five since he had been in the home. 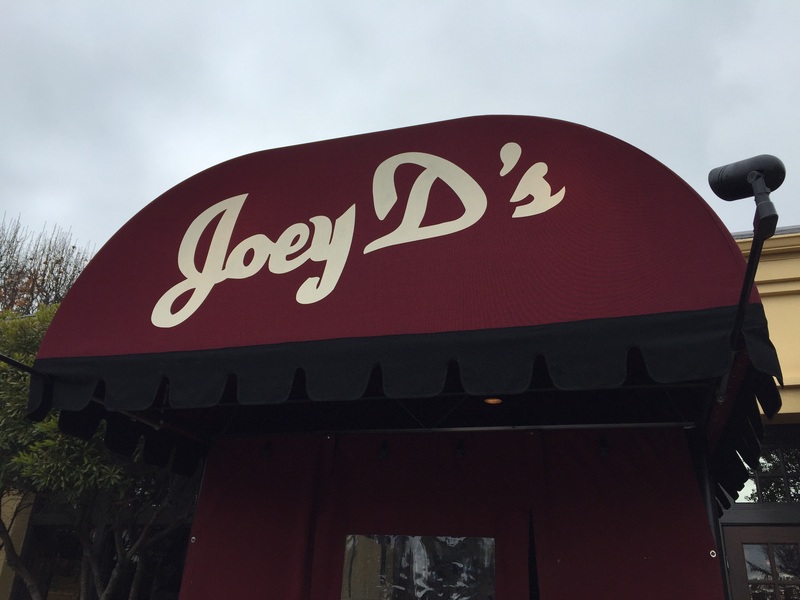 I got sandwiches from one of the places we’d meet for dinner, Joey D’s. They have massive corned beef sandwiches and they get the meat from the Carnegie Deli in New York. This was the place he’d always name when we asked him where to go. Each time, he’d talk about business trips he’d taken to New York and eating at the Carnegie. I don’t think that the name sunk in this time and he ended up eating the meal by just grabbing the meat piece by piece instead of like a sandwich. It was almost like he’d lost the capacity to know what to do with it. What used to be a fun night turned into a sign of trouble which turned into a somewhat painful responsibility which slipped to the hope of a flicker of recognition and is now really off the table. I’m still amazed at how quickly this happened. In the course of a year we went from knowing there had to be something wrong with my dad which needed to be diagnosed to him not being able to eat a sandwich. I know this had been building for quite a while but when it hit, it hit hard. What loving gestures you’ve shown your dad. He’s lucky to have such a devoted and thoughtful son! P.S. I tried to post, but realized I’m not connected to any of those social media sources. It meant a lot to have you see him while you were in town. I’ve got some pictures to share with you but don’t seem to have your email address. It is surprising how fast a loved one disappears after they are diagnosed with dementia. So sad to lose the person you loved. I have lost my mother, sister, and both brothers to dementia. I cared for my brother J.R. for 2 years, he has been in the nursing home, but is now being evaluated in Senior Care due to violence. May have to place him in a lock down dementia unit soon. Breaks the hearts of caregivers to deal with this disease. You did well with your Dad. I can’t even imagine. So many people you’ve known your whole life. Many of these stories probably seem familiar. I’m so sorry. We’ve definitely got concerns over violence. That’s why my mother spent the first part of last year living with my family rather than with my dad. My brother is in Senior Care now being evaluated for his violence. I may have to move him to a lock down dementia unit in 3 weeks if they cannot regulate his drugs or solve his violence problem. Caregiving is such a stress on each person who has to be a caregiver. My best to you and your family. The only being able to manage a couple of restaurants thing rings true with us as well – we tend to only go to the same two local ones now, or MIL gets all agitated, either there or on the journey, if we venture any more than five minutes in any direction. She also tends to always have what we are having – she can read, but I suspect has problems processing or retaining that information. Luckily we all like steak! Those were my only two attempts at bringing food in. After the second time, I realized that all it was doing was messing up some of my better memories from the last few years. If he wasn’t getting out of it what I’d hoped and it was making me unhappy too then it felt best to not try to push the tradition. Previous Previous post: What Color Is the Sky on Your Planet?